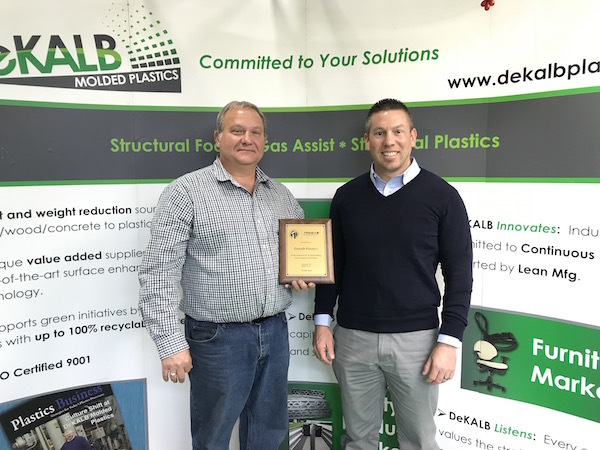 DeKALB Molded Plastics received the 2017 award for Recognition of Outstanding Partnership with Primex, announced Steve Boyd, Materials Manager at DeKALB. The award was bestowed upon DeKALB for dedication and reliability when working with Primex. Each year the award is presented to Primex customers that have created successful partnerships by working together and developing effective programs that are a win-win for both the supplier and customer. The recognition from Primex confirms DeKALB’s passion for our people, products, customers, and suppliers. Through relationships like these, DeKALB hopes to cultivate long-term benefits that will influence future projects. The entire DeKALB organization is honored to receive recognition from their peers, especially from a partner with such a stout reputation as Primex.